Once in a while someone creates quite impressive videos or timelapses, here are four nice ones. I don't usually post videos but these are a tiny bit different and deserves a few more views. Perfect if you have a couple of minutes to kill. Thanks for visiting and have a great Wednesday. This year I was invited to the Sundance Film Festival to hold a couple of meetings and talk about the new types of financing that are increasingly common in the industry. It was a great trip and I had the opportunity to meet great people and squeeze in some friends and colleagues from Sweden. This year I didn't have time to watch any screenings but next year will be a ski and film festival, Park City is a perfect spot to both ski and work. Highly recommended film festival as well, just make sure to book in everything advance! The demand is extremely high before, during and after the festival. Take a look at the films that were shown this year. 2018 will probably be much more around VR and AR, this year had a lot of new tech companies present, I haven't seen that before so it was a welcomed addition and I believe it will stay like that in the future. However, it is and should still be a film festival so as long as it won't be another tech festival or gathering I will be fine. Jet-lag is for me a loaded word nowadays. It is easily the worst part about traveling for me, I just need to fly a couple of hours either to the east or west and I´ll be loosing a day just because of being tired and to an extent I´ll be destroyed physically and mentally. Not ever trip is bad, however, even if some trips goes well, some times the jet-lag can be really nasty. No matter how though a jet-lag can be, there are ways to make it less of a hurdle but most of the time I just forget to plan or do the things I need in order to function after a long trip. The main issue with me and jet-lag is that I love flying and don´t want to sleep during the flight. This is a bad idea most of the time and that is why its on my number one thing to do when flying or before. Get some sleep, sleep deprivation is not fun and affects everything so sleep and don´t think to much about the time in each place. Drink water during the flight and sleep when you are tired. Unless you are on vacation, go to bed early and if you travel a lot, stop thinking about the time, sleep when you feel like it, it will help you a lot. The fatigue of travelling a lot are something to take seriously and skip coffee and alcohol. I am a coffee addict so for me it is hard to skip coffee but I try to keep it to a minimum during flights. If you don't have noise cancelling headphones yet, that is a great investment for any flight you'll make. 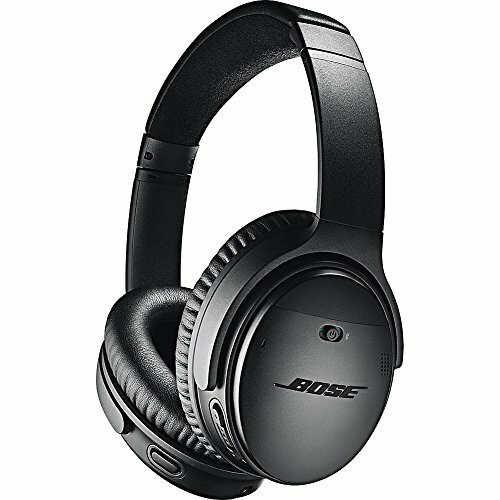 I use Bose QuietComfort 35 and those are really good. There is another pair out now that might be a tiny bit better. By the way, I recently came a cross this site that is a World Clock / Converter, it helps a lot if you work in different time zones. For some ideas about how to work in different time zones, check the post I wrote about working between time zones. Charge your electronics before the flight so you don't have to stress about that. If this is not enough, Forbes has an article about how to beat jet-lag, take a look at that for a more in depth idea about what to do and not to do. I recently got the opportunity to try the new Business Class on SAS New York to Stockholm. I travel more or less frequent so it is easy to get fatigued during the long trips and that is when you need to be able to sleep and rest. The new cabin is a really nice addition to an airline I love. Quick and convenient to and from Los Angeles. Since SAS started with the direct flights from Stockholm to Los Angeles everything has been much smoother the new cabin is highly recommended. The new cabin feels like home and the partnership with Hästens made it a great flight. As always they managed to get us to our destination in time and we left with a positive experience. SAS has some great years ahead and I always look forward to flying with them. Hi there, so here is some information regarding the visit to the old Fox studio I did together with collegues a couple of days ago. The studio is the old Fox Studio if I'm not mistaken and was bought by a company in Mexico. It is one of the largest salt water studios and it has everything you can imagine. With a studio of this caliber, you get a lot of film history, films like Titanic, Pearl Harbor, Master and Commander and All is lost. These are just a few of the films that has been using the studios. The sheer size of the salt water tanks are actually pretty crazy and it was really impressive to see how they work. I'm planning to produce a film to be partly shot there. Not because of the salt water tanks, even though they help, no, because of the quality of the studio. It's an impressive lot with sci-fi pieces and cities built. Let me know if you want to film or visit the studio and I'll introduce you to the right people. Here are some random pictures from the visit. As always, thanks for visiting. Please let me know if you have any questions and I'll do my best to answer them.